About GEN - The Global Ecovillage Network (GEN) bridges countries, cultures, and communities! 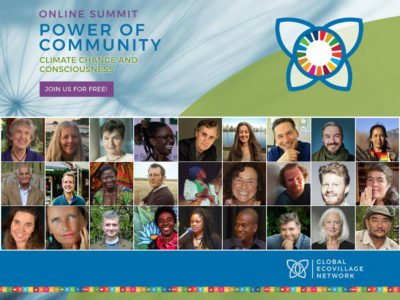 Who is the Global Ecovillage Network? The Global Ecovillage Network (GEN) catalyzes communities for a regenerative world. GEN is a growing network of regenerative communities and initiatives that bridge cultures, countries, and continents. GEN builds bridges between policy-makers, governments, NGOs, academics, entrepreneurs, activists, community networks and ecologically-minded individuals across the globe in order to develop strategies for a global transition to resilient communities and cultures. An ecovillage is an intentional, traditional or urban community that is consciously designed through locally owned, participatory processes in all 4 dimensions of sustainability (social, culture, ecology, economy into a whole systems design) to regenerate its social and natural environment. Ecovillages are living laboratories pioneering beautiful alternatives and innovative solutions. They are rural or urban settlements with vibrant social structures, vastly diverse, yet united in their actions towards low-impact, high-quality lifestyles. Read more about ecovillage definitions in our Glossary. Who is in the GEN Network? GEN is composed of 5 regional networks, spanning the globe. The network is made up of approximately 10,000 communities and related projects where people are living together in greater ecological harmony. Some network members include large networks like Sarvodaya (2,000 active sustainable villages in Sri Lanka); the Federation of Damanhur in Italy and Nimbin in Australia; as well as small rural ecovillages like Gaia Asociación in Argentina and Huehuecoyotl in Mexico. It also includes urban rejuvenation projects like Los Angeles EcoVillage and Christiania in Copenhagen; permaculture design sites such as Crystal Waters, Australia, Cochabamba, Bolivia and Barus, Brazil; and educational centres such as Findhorn in Scotland, Centre for Alternative Technology in Wales, Earthlands in Massachusetts, and many more.